While I usually make the point that “chivalry is more than manners,” when a manners expert like Peggy Post speaks out on chivalry, it’s time to sit up and pay attention. Peggy is the “great-granddaughter in law” of legendary etiquette expert Emily Post, and is the director of the Emily Post Institute, which is described as a 21st century “civility barometer.” Peggy clearly believes that chivalry and etiquette alike should not be bogged down in the formalities of yesteryear. This article demonstrates that even the manners and courtesies of “gentlemanly” chivalry can be easily updated to exist in harmony with contemporary gender values. The first sentence of the article says it all! 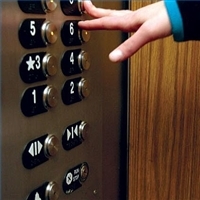 Elevator etiquette is just one of the places where the customs of chivalry still exist today, according to the Post Institute. Thankfully, chivalry is not dead. But today, it’s not so much about men rescuing and protecting women as it is about being considerate of others. Holding the door for the person behind you, helping a friend put on his coat, standing to greet a newcomer — a polite person should extend these gestures to everyone, regardless of gender. Of course, if a man insists on playing the perfect gentleman, and is especially attentive to a woman, she shouldn’t be offended. Whatever his motive, he’s still trying to be kind. Holding the door. Whoever gets to the door first holds it for others. Getting off an elevator. The person closest to the door exits first. Helping to put on a coat. Anyone having trouble putting on a coat or sweater should receive some help, regardless of gender. Paying for a meal. Whoever does the inviting does the paying. Standing. Getting up to greet someone is always polite — and this is especially important when the person is elderly or is a business superior or client. It’s also the thing to do when you’re being introduced to someone. Walking on the outside. The custom of a man walking between his female companion and the street was the custom in the days when carriages splashed mud and ladies’ finery needed shielding. These days, it doesn’t matter who is walking on the street side of the sidewalk. Shaking hands. Used to be that a man was supposed to wait for a woman to offer her hand before he extended his. Today, regardless of gender, people should shake hands upon meeting, and it doesn’t matter who puts out their hand first. Helping to carry something. A neighbor or coworker — anyone — who is overloaded with books or packages will appreciate an offer of help from whoever is nearby. About the Author: Peggy Post is the spokesperson and author for the Emily Post Institute. Her books include the rewritten [slider title=”17th edition of Emily Posts’s Etiquette,”][/slider] [slider title=”The Guide to Good Manners for Kids”][/slider] and [slider title=”The Etiquette Advantage in Business: Personal Skills for Professional Success.”][/slider] This article is excerpted from her newest book, [slider title=”Excuse Me … But I Was Next: How to Handle the Top 100 Manners Dilemmas.”][/slider] Peggy writes monthly columns in Good Housekeeping and Parents magazines. She is the wedding etiquette expert for InStyle Weddings and WeddingChannel.com. Peggy conducts lectures and seminars for businesses and community groups across the country. This article may not be reprinted in any form without the permission of the author.